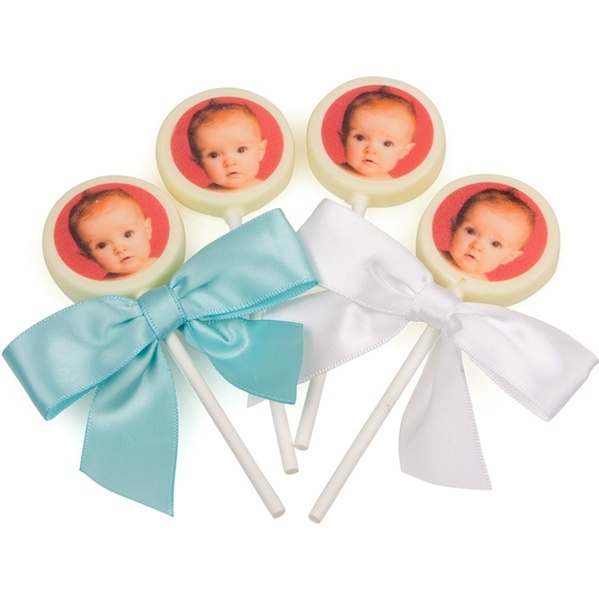 Each delicious Picture Pops™ is hand made from luscious Belgian White Chocolate. Your full-color image (photograph, drawing, logo, etc.!) is applied using our exclusive process. Picture Pops™ are perfectly unforgettable: they are ideal Party Favors, Wedding Favors Corporate Giveaways and Much, Much More! Each Pop is packaged in its own crystal-clear cellophane bag and finished with a metalic twistie or add a lush Satin Bow for extra impact!